"See Sis. This is how I build up my muscles!" 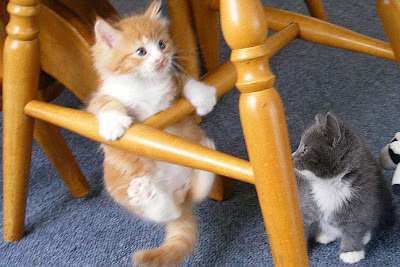 The ginger male kitten trying to climb over the chair bar looks like he's trying to impress his sister, Grey who is watching him.